Sushi is one of those things that has become a huge trend over the years. Don’t get me wrong, it is good! But I personally have to be a little pickier with my choices. The smell and texture of raw fish is enough to make my stomach turn depending on what it is. I don’t mind so much when the fish to be rolled up into the middle of the rice, but when there’s a big piece on top of the rice I have some issues. But one of my favorite things is when they give you a little drizzle of some mysterious orange sauce and little blob of wasabi. 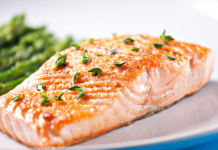 They help add some flavor and break up the taste of the raw fish. The orange sauce is so good, but I never looked into what it was. 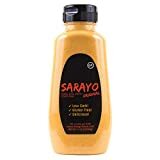 Recently, I learned about this sauce you can buy online called Sarayo Sriracha Mayo. The backstory has to do with a man who really wanted to recreate that delicious sushi drizzle. He searched high and low for the right recipe and then came out with his own brand! I think that Sarayo would be really great on more than just sushi and it would make a great addition to your refrigerator. But I’m here to give all the info I can come up with. Maybe this is the sauce we’ve all been looking for! First off, there are some major qualities I like to look for in a food item. It’s hard to pick out the right sauce when you can’t taste test ahead of time! But I am always here to tell you all about the best and worst s aspects of a product! Taste: Sarayo is deliciously creamy and has been put in the category of a medium spice. Just enough to add a kick, but not so much you’ll need a glass of milk. Some said it was a little more on the sweet side than they were expecting. Sort of like it had been made with Miracle Whip rather than mayo. But a nicely balanced sweet and spicy sauce sounds good to me! Ingredients: You can find the complete list of ingredients and nutritional facts here. But to simplify it a little, Sarayo is really a blend of three sauces. Mayonnaise, hot chili sauce and soy sauce. The mix of these three give it the extra flavor. That’s what makes it so good on sushi. Even just a little drizzle is packed full of flavor! Affordability: This sauce actually comes in a double pack. You get two sauces for the same price as a single of a lot of the other sauces on our list. Quality: There was a lot of thought and care that went into this sauce. The man who created it was focused on genuine flavor and the right ingredients. But keep in mind it is still just a self variety sauce, nothing gourmet exactly or extraordinary. But it is supposed to bring the flavor of gourmet restaurants into your own home! Uses: I believe the man who made this sauce was really trying to recreate the sauce that he had found in a few different sushi and Japanese seafood restaurants. But it was pretty easy to see that this sauce is actually good for just about everything. People have used it on sushi of course, but they like it on a lot of other items as well. 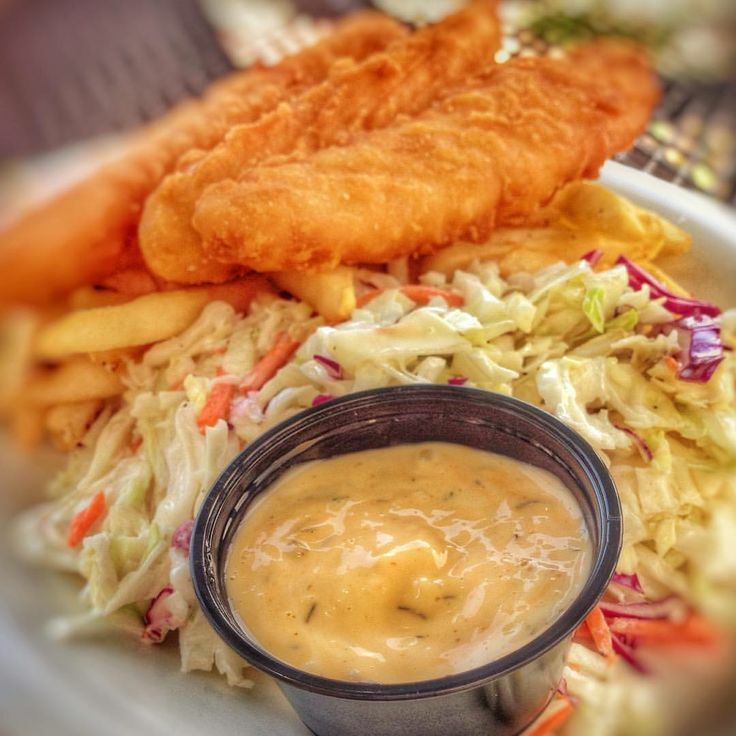 Fish, tacos, salads, sandwiches, chicken, the list just goes on and on! Drawbacks: A serving size is about a tablespoon, which feels pretty small. In that single tablespoon there is 130mg of sodium. That’s pretty impressive for a little dollop of sauce. However this is probably one of this first I’ve seen that doesn’t contain sugar or carbs. So if you’re on a low carb diet this might be something to look into. It really just depends on you! I would recommend this to anyone who has ever been curious about the delicious sauce they drizzle on your sushi! This is something you can bring home that will taste the same, if not better! It is creamy, spicy, low carb and gluten free. It is great if you are interested in the type of sauce you can add to just about everything! Not to mention this comes in a two-pack for a great price so you’ll be able to have another on standby or even give it as a gift! Some people were saying that this Sarayo is a little bit too much like ordinary mayo. If you are looking for something that doesn’t remind you of a mayo at all, you might not like this one. I also wouldn’t recommend it for anyone who avoids products containing soy. I know that it can be very overlooked, especially by me. But there are a lot of people with soy allergies. Not only that, but there are also people who avoid soy products because they believe them to be very unhealthy. If you would rather try something without soy I would recommend Sir Kensington’s Sriracha Mayo instead, it is made with sunflower seed oil. 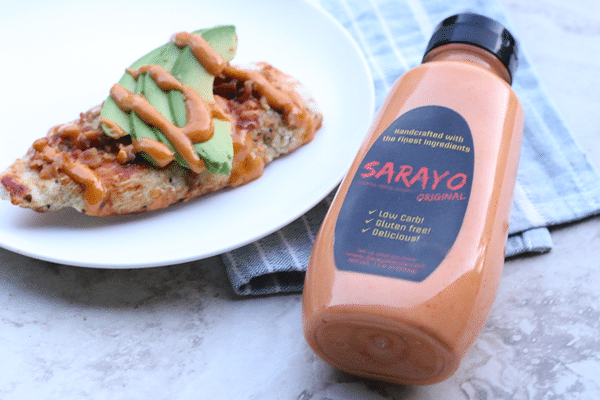 Sarayo Sriracha Mayo is creamy and flavorful with just the right amount of spice. I would say this is really savory flavor. It is a perfect blend of sweet and spicy. It’s very well rounded. Sarayo comes in a 2-pack of 11.8oz bottles for a great price! It is low-carb, gluten free and considered to have about a medium spiciness. I would recommend shaking it before use to be sure it is still well mixed. It will serve you well with just about any meal you can think of, from burgers and hot dogs to sushi and seafood! I think it’s time to get into more details about this product! You’ve certainly learned a lot about it up to this point. But in case you’re skimming this list, I wanted to list the best qualities about this product and why I think it is totally worth adding to your cabinet! You can find Sarayo in a 2-pack, for an awesome price! It comes in two 11.8oz squeeze bottles. You can store one for later and pop the opened one into your fridge. If you love it you’ll have back up or you could share it with a friend! This product is made in the USA, in Oregon to be exact. It was made by a man who loved the sauces you get at Japanese seafood restaurants and set himself the mission recreating it to bring it to our homes! This sauce is low carb and gluten free! It also is really low in sugar. This actually makes it a great sauce if you’re on a diet. Such as a keto or atkins sort of diet. Watching your carbs with this product should be no issue! Who says diets have to be flavorless? Sarayo is smooth and creamy just like any delicious mayo product should be! It will spread on a burger beautifully. 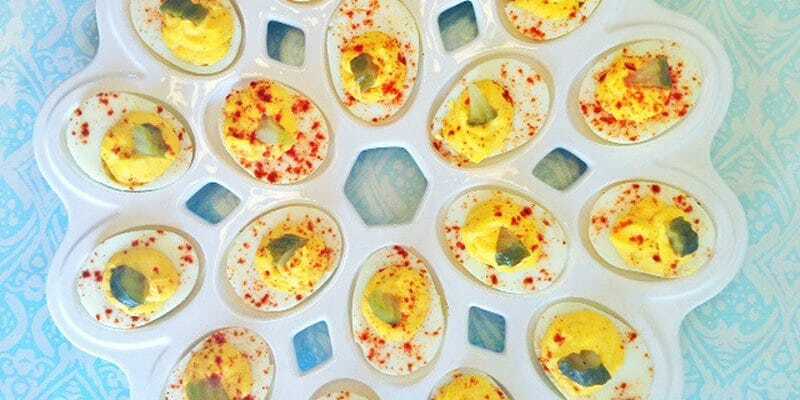 You could even add it to a spicy mac, or spicy deviled eggs, instead of a normal mayonnaise! It will add a tasty twist to the normal routine! This is really a mix of three sauces in one. Mayo, hot chili sauce and soy sauce. Sounds good right? It sounds like the perfect mix of flavors to me! This product is spicy, but it isn’t overwhelming! This is a nice medium heat that will surprise with a note of heat at the end. But it won’t send you sniffling off in search of milk or anything drastic! I was surprised by the fact that Sarayo is very highly recommended by customers! They have a lot of return customers. That’s probably why they decided to make the 2-pack available! The goal of the creator of this product was to make this just like the kinds of sauces you might find in gourmet seafood restaurants. I think it’s safe to say he nailed it! This will bring a little gourmet flavor to your home, without the ridiculous price tag. I know that the Ketogenic diet is super popular right now. Lucky for you, this is a keto friendly condiment! Just in case you have been having a hard time finding the right items to make spice up your food! Probably the best thing of all about this product is the fact that you can literally put it on any food you want! It might be originally intended for seafood, but why stop there? You can add it to basically anything. Salad, steamed veggies, pizza, chicken or other meats, or even hot wings. It could be a drizzle, a sauce to roll your hot wings in, or even a dip for sushi or veggies. Whatever you can think of! Sarayo Sriracha Mayo actually has a lot more great reviews than I was expecting. It can be really hard to find the reviews for food products because people normally get their items in the grocery store. It doesn’t really cross their mind to go online and review it for the rest of us. Sarayo was a little bit different though! There were plenty of reviews for me to see that people actually really love this product. There were a lot of return customers and they highly recommended it to the rest of us! They enjoyed the flavor, the fact that this is a product of the USA and that you can add this to just about any kind of food! One woman said that if you’re normally really terrible at cooking, you should just get this and add it to your meals. No one will ever complain again! I think that really depends on how bad your cooking is though! Now, I know that this isn’t going to be the right product for everyone. So I want to include a few extra options. Just in case you want to check out a few before you make the ultimate decision! You might want something with a different flavor, different ingredients, vegan or more natural. Whatever your reasons might be I encourage you to check out the rest of our list if you don’t like this product! But here are some alternatives in the meantime! I wanted to start out our alternative products with our favorite one! Sir Kensington is by far the best quality item on our list. It has great flavor, carefully selected ingredients and comes from a very reputable brand. The only issue I see is the price tag. It is a bit overpriced for a 10oz jar of mayo, but there are a lot of people willing to pay the price for quality! This is highly recommended for the people who love these natural products but want something really top notch. For instance, a huge number of these sriracha mayo products choose to use soybean oil. This is fine, but I know there are certain people with soy allergies who can’t use it. There’s also a lot of people who avoid soy products because they feel that they’re unhealthy. Either way Sir Kensington’s is a great alternative because it is made with sunflower seed oil instead! It doesn’t change the flavor or the consistency but most people see it as a wonderful alternative! Overall, Sir Kensington is definitely a more expensive product. But sometimes when you know you aren’t going to go through it really fast, it’s worth it to buy a better product. It’s healthier, made with better ingredients and tastes great. So if you’re interested in getting Sir Kensington Sriracha Mayo you can find it on Amazon! In this deal, you actually get two in one as well! Just in case you love it so much you might want to share it with a friend. Or you need one on standby because it’s just that tasty. 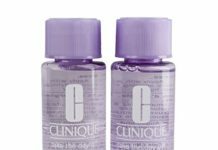 Each bottle holds 8.5oz. It doesn’t contain any artificial colors or flavors. You don’t have to worry about high fructose corn syrup. This is a really yummy mix of mayo, sriracha chili sauce and chili garlic sauce. This is packed full of flavor and will taste awesome on pretty much anything! This will add a lot of flavor to your meal! This is actually one that I would love to try. It don’t contain any high fructose corn syrup. I know most of them don’t, but usually you can’t get this much flavor without some nasty added ingredients! Not here! This is literally a mix of three different flavors into one and it’s still just as creamy as any normal mayo. Say no more! This is definitely a sauce to try. It is full of flavor while still sticking to the important ground rules I have for sauces. Such as as many natural ingredients as possible and no high fructose corn syrup. If you’re interested in getting this sauce for yourself, you can find K!ck Sriracha Mayo on Amazon! JUST is a great brand with a fantastic goal of bringing you very affordable and delicious condiments. They actually have a lot of different options, but their sriracha mayo is one of the best. It is non-GMO, vegan, kosher, gluten free and contains no artificial flavors. It is also a marvelous price for a 12oz squeeze bottle! It makes adding this to your food super simple and a total no brainer. JUST is the perfect product for any vegan who has a hard time finding the perfect condiments. Most mayonnaise products are egg yolk based for the perfect creamy consistency. In this case, they can get the perfect smooth product by using Canadian Yellow Peas, rather than egg yolks. If you want something vegan, with high quality ingredients and a great flavor, this is a phenomenal option for you! JUST is a wonderful brand and is really well known. It is the perfect spicy vegan condiment! Some say it could use a little more spice, since it leans more towards tasting like mayo or garlic. But it is made with quality ingredients, contains less calories per serving, and is dairy free. If you’ve been on the hunt for a good vegan sriracha mayo, look no further! You can find JUST Sriracha Mayo on Amazon for a really affordable price! Sarayo Sriracha Mayo is one of the top five sauces on our list of the 10 Best Sriracha Mayo To Try Right Now. This is really a well thought out product. A lot of care went into the production of this. One man had the idea and hunted down the recipe, tweaking and changing it until he thought it was perfect. Then others believed in him enough to invest and get production rolling! Since then this has become a well loved and highly recommended sauce! It goes with whatever food you decide to put it on. I would love to try it on sushi, since I’m still getting used to the different kinds. I would even put it on shrimp, grilled chicken or chicken wings, or even salads since it’s low in carbs and sugar! It is just so smooth with a bit of heat at the end. It might not be spicy enough for me, but I would still love to try it. The fact that it is a blend of three different sauces is what really peaks my interest. The mix of the mayo, hot chili sauce and soy sauce in bound to be packed full of flavor! We decided to give this item 4.1 stars! It is in the top five on our list, but it has minor drawbacks. It has a high salt content, isn’t really made with natural ingredients and some say it taste more like mayo than anything. I personally would love to test that out for myself. If you would like to try this awesome sauce, you can find Sarayo Sriracha Mayo on Amazon!